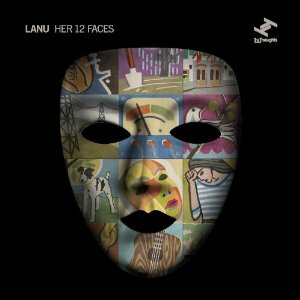 Lanu’s Her 12 Faces opens with “Beautiful Trash,” a beat driven song structured around some electronic elements and strings. Pop vocalist Megan Washington makes appearances on the opening track as well as several other tracks on the album, and her collaboration with musician Lance Ferguson is most welcome. Think Zoey Deschanel from She & Him but more poppy. On the tracks where she is absent, it is primarily Ferguson who creates a soundscape using beats, keys and different samples. Since most of the tracks contain no vocals, you start to appreciate the different layers of sound and subtle details within the musical structure after several listens. The highlight of the album may very well be “1988,” a song that starts off with a drum beat and a funky bass line. The bass and beat carry the song into the two-minute mark, where strings come in and complete the song. It’s overall a solid album for Lance Ferguson’s collection of solo albums. The combination of tracks with Washington singing and the rest of the instrumentals make for an album that is not repetitive. It’s riddled with musical variety which makes for a memorable and pleasant listen.